With her sweeping mobility, earthy passion and soaring lines, Ballet Hispánico's Shelby Colona illuminates the stage. Performing the featured role in Annabelle Lopez Ochoa's Linea Recta last season, Colona was so captivating in the flamenco-inspired piece that she earned a standing ovation before the dancing had even ended. Do you feel like your obsession with dance has gone too far? You're not alone. Many dancers find themselves laser focused on dance to an unhealthy degree. But that doesn't mean you won't ever be able to find a more balanced life. Ballet Hispánico dancer Christopher Bloom is a great example. When he started training seriously at age 15, he put every ounce of concentration into dance. In many ways, it served his swift improvement. But an overly obsessive tendency emerged: "When I went on vacation for a week when I was 17, I was so antsy and upset," he admits. "I thought I'd lose everything." Check Out This Year's Princess Grace Award Winners! The 2017 Princess Grace Award winners have just been announced! Over the years, the Princess Grace Foundation-USA has demonstrated a knack for picking out future stars in the dance world, so it should be no surprise that several of the honorees are familiar names. When you're competing against a crowded audition room full of talented dancers, it can feel next to impossible to be the one chosen for the gig. What does it actually take to succeed? 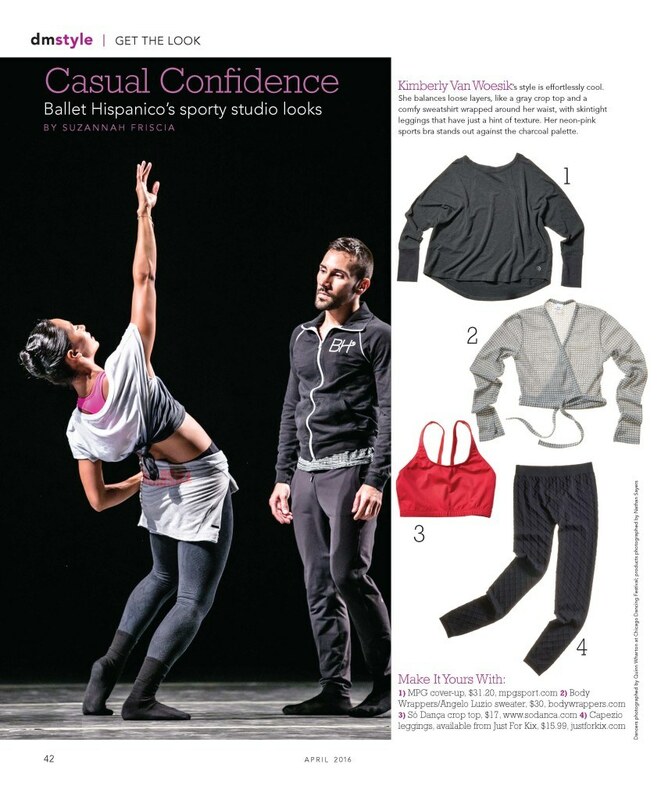 Three dancers who recently landed contracts share their keys to success. One choreographer wants to explore ideas through improvisation; another demands quick pickup of specific steps. One might demonstrate ideas physically; another may rely on language and gestures imbued with feeling. Puzzling out how to thrive in ever-changing creative environments is an ongoing practice, but a little preparation and the right mindset can go a long way. Moving past internal expectations and fantasies of instant perfection expands your ability to participate in generating work. "It's okay if you don't get it at first," says Yusha-Marie Sorzano, who dances with Camille A. Brown. Repeating phrases over time, or even getting some distance from them, can help material start to feel natural, Sorzano says. Letting go of expectations can take some anxiety out of the learning experience. Let's face it: We love the sunshine and the chance to dance outdoors in fresh summer air, but the season can get hot. Sizzling. With a blistering heat index of over 100 degrees in New York City, there's no better time to slip into the air-conditioned oasis of a movie theater. And if dance performances are part of my theater's lineup, I'm so there. AAADT's in Grace. Photo by Paul Kolnik via AAADT. Get the full Ailey experience with this broad-ranging quadruple bill, featuring Wayne McGregor's alien-like Chroma; Ronald K. Brown's stirring and spiritual Grace; Robert Battle's syncopated, energetic Takademe; and Alvin Ailey's signature work Revelations. Ballet Hispanico in Club Havana. Photo by Paula Lobo, Courtesy Fathom Events. If you're an art lover, you'll want to check out Gustavo Ramírez Sansano's CARMEN.maquia, which is a Picasso-skewed take on the classic opera Carmen. Also on the program is Pedro Ruiz's Club Havana, the Cuban-inspired dance party set in a nightclub. Maria Kochetkova and Davit Karapetyan in Romeo & Juliet. Photo by Erik Tomasson, Courtesy Fathom Events. Got a taste for star-crossed lovers, ballet packed with acting and ill-fated endings? Then you'll love Helgi Tomasson's staging of Romeo & Juliet. Aside from the performances, each evening will include bonus footage of the company in rehearsal and interviews with the dancers. To find a screening near you and to buy advance tickets, visit the events pages above for each company. All shows start at 7 pm local time. Kimberly Van Woesik's style is effortlessly cool. She balances loose layers, like a gray crop top and a comfy sweatshirt wrapped around her waist, with skintight leggings that have just a hint of texture. Her neon-pink sports bra stands out against the charcoal palette. At first glance, Melissa Fernandez seems to stick to functional and stylish staples: structured black dance pants, a striped zip-up, warm socks. But she sheds layers to reveal a sporty, high-necked leotard that also has a zip front—a subtle, yet effective touch that gives her look symmetry. Ballet Hispanico’s Vanessa Valecillos, Christopher Bloom and Johan Rivera Mendez (kneeling), rehearsing Show.Girl. All photography by Moris Moreno. The template for dance theater has long been a European one, staked out by experimenters like Pina Bausch. Shaped by her Miami upbringing and Latino background, Rosie Herrera offers a new, intrinsically American vision of the genre. The American Dance Festival has been fostering Herrera’s work since 2009, commissioning pieces from her for several summers and presenting her New York City debut last year. Though she has a BFA in dance performance from the New World School of the Arts, Herrera’s dance life includes hip-hop stints, choreographing for drag houses and dancing on the MTV Video Music Awards. The daughter of a Cuban immigrant father and Nuyorican mother, Herrera, 30, grew up in Hialeah, a Miami-Dade city that’s almost entirely Hispanic. Her ease with pop, club and Latino culture animates surreal pieces like Various Stages of Drowning: A Cabaret, where a woman in a poufy dress has a horrifying encounter with elaborately frosted cakes, and Pity Party, which features a nightclub-heaven sequence. Herrera drew on a teenage stint as a showgirl in a Little Havana cabaret—strutting in feathered headdresses, acting in salacious skits—to create Show.Girl. for Ballet Hispanico, her first major piece for a company besides her own Rosie Herrera Dance Theatre. Jordan Levin spoke to Herrera as she prepared for the Miami premiere. You were only 16 when you started dancing in a cabaret. What was it like? It was a huge risk for me. I was crazy shy about my body—a little hip-hop girl with cornrows and Malcolm X glasses. You were in a bejeweled bikini, but there were a lot of powerful female role models. There were all these Cuban jokes and references that were an education for me about my culture. In this context it wasn’t about female exploitation, it was about glorification of the female form. You were literally creating a goddess. Above: Herrera, a former showgirl herself, demonstrates a move. How did it affect your dance theater work? It taught me a work ethic and the basics of being an entertainer. High-quality craft can be transformative. Awareness of the audience is really important to me—to invite them into your process. Cabaret taught me the power of humor and how you can utilize humor to manipulate the audience. What are you trying to explore in Show.Girl.? In the context of these cabaret shows the woman is a vehicle to display the costume, to frame other images or situations onstage. They are never the subject of what’s happening. If you think about what it means to constantly be framing something in service to something else—that presents an idea about femininity and feminism I find really interesting. Your pieces can be quite visceral—shocking to some. Where does that come from? I’m a surrealist. I can be like a child, very giddy and happy, and I can be very dark. You can’t have one side without having the other. It’s not something I save for the stage; it’s how I see life. Above: BH’s Jamal Rashann Callender. Is Pina Bausch an influence? When I was starting to create work at New World, I had long hair, I was doing pieces with gowns and my teacher was like, “You’re so Pina, baby.” I’m really honored by the comparison. But you could not have two more different people than Pina Bausch, this skinny ballerina from Germany, and Rosie Herrera, a big-booty hip-hop girl from Hialeah. I wouldn’t say I’m influenced by her. But I’m grateful because she opened up and redefined the space for what is dance. What did it mean for you that Ballet Hispanico is a Latino company? It’s like my second home in New York. Everyone speaks Spanish or broken Spanish. One of the things we talked about was how our parents would sing us English lullabies in their bastardized Spanish. The fact that the company focuses on Latino artists is really important because we’re such a humongously misrepresented group of people in the U.S. There was an article about one of my films where the reviewer talked about how it depicted my journey coming here on a raft from Cuba. I’m American! I was born here. Above: “The BH dancers are real pros—they get it, they do it, they’re ready to go,” Herrera says. MONTE CARLO What do you get when you combine the sublime dramatics of Diana Vishneva and the stylish eloquence of Bernice Coppieters? Jean-Christophe Maillot’s Switch, which comes to the Salle Garnier in Monte Carlo Dec. 18–19. Maillot chose a cinematic score by Danny Elfman for the work, which features longtime Les Ballets de Monte-Carlo dancer Gaëtan Morlotti alongside Maillot’s two muses. Switch is paired on the program with Carolyn Carlson’s solo for Vishneva, Woman in a Room, part of Vishneva’s “On the Edge” evening, which premiered last month at the Segerstrom Center for the Arts in Southern California. www.balletsdemontecarlo.com. Coppieters, Vishneva, and Maillot. Photo by Alice Blangero, Courtesy Les Ballets de Monte-Carlo. WASHINGTON, DC This month, Ballet Hispanico visits the Kennedy Center for the first time under director Eduardo Vilaro. The soulful Jardí Tancat, Nacho Duato’s first choreographic work, joins the spirited duet Sortijas (Rings) by fellow Spaniard Cayetano Soto, Annabelle Lopez Ochoa’s vivacious all-male Sombrerísimo, and Vilaro’s own Danzón, made extraordinary by the infectious onstage musical performance of jazz saxophonist Paquito D’Rivera. 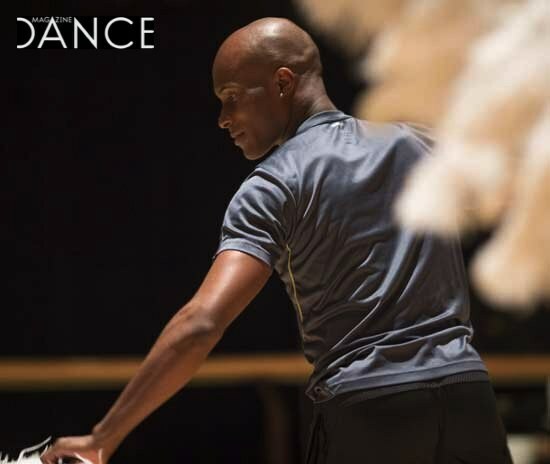 Dec. 5–6, with masterclass led by BH company members on Dec. 4. www.kennedy-center.org. Ballet Hispanico in Nacho Duato's Jardi Tancat. Photo by Paula Lobo, Courtesy Michelle Tabnick. PHILADELPHIA The wizards of BodyVox bring The Cutting Room, an homage to films of all persuasions, to the Annenberg Center in Philly. 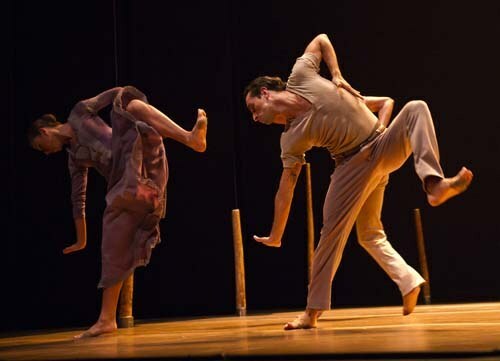 Under co-directors Ashley Roland and Jamey Hampton, who count MOMIX and Pilobolus among their credits, the Portland-based company is known for its theatricality and eye-catching physicality. The Cutting Room incorporates video clips to explore motion pictures, from documentary to romantic comedy to sci-fi. Dec. 12–14. www.danceaffiliates.org. BodyVox in The Cutting Room. Photo by David Krebs, Courtesy BodyVox. NEW YORK CITY Leave it to Reggie Wilson to dig up rousing vocal music from the depths of black culture for his dances. The sound score for his new Moses(es), presented by Brooklyn Academy of Music’s Next Wave Festival, combines hip-hop, house, and traditional music from Egypt, Senegal, and Zanzibar. This full-length piece draws from another American who researched her roots: Harlem Renaissance writer Zora Neale Hurston. The nine dancers of Wilson’s Fist & Heel Performance Group will explore responses to questions inspired by various versions of the Moses narrative: How do we lead and why do we follow? Dec. 4–7, BAM Harvey Theater. www.bam.org. Reggie Wilson's Moses(es). Photo by Julia Cervantes, Courtesy BAM. 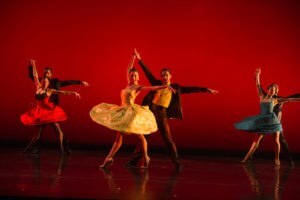 CHICAGO Alejandro Cerrudo’s evening-length One Thousand Pieces for the dancers of both Hubbard Street Dance Chicago and Hubbard Street 2 returns to the Harris Theater Dec. 12–15. 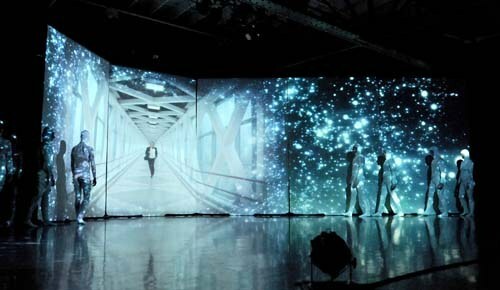 Described as a “rarely pausing onslaught of silky, gorgeous, often classically pure dance, dotted with bits of its choreographer’s persona” by Sid Smith of the Chicago Tribune, the piece, which premiered last year, draws inspiration from Marc Chagall’s blue-tinged America Windows and its Philip Glass score. (See “DM Awards,” p. 36). www.hubbardstreetdance.com. Jessica Tong and Jesse Bechard in One Thousand Pieces. Photo by Todd Rosenberg, Courtesy HSDC. NEW YORK CITY After meeting in Sidra Bell’s contemporary dance company, Jonathan Campbell and Austin Diaz joined forces in 2011, creating compelling male-centered work for their NYC–based troupe MADboots dance co. The two have a knack for unison, and though Campbell comes by way of Juilliard and Diaz from NYU’s Tisch School, it’s like they were cut from the same postmodern cloth—gesturing, slicing, and rolling through space as one. 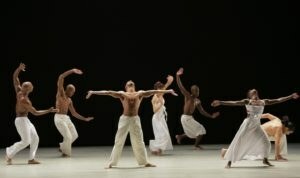 This month MADboots will present two works for the 92nd St. Y’s Dig Dance series: their 2013 piece, blue, a work for three men with bouquets of brightly colored flowers inspired by Picasso’s Blue Period, along with a premiere, ACADEMY, a dance for five men set to an eclectic music and sound score. Dec. 7–8. www.madbootsdance.com or www.92y.org. The men of MADboots. Photo by Nir Ariel, Courtesy MADboots. NEW YORK CITY Every year Movement Research, that fortress of experimental dance and performance, holds a fall festival. Curated by Adrienne Truscott and Jibz Cameron, this edition is hosted by the Danspace Project at St. Mark’s Church. It includes masters of improvisation like Ishmael Houston-Jones, Greg Zuccolo, and members of a younger generation. For instance, Nikki Zialcita has worked with “25 to Watch” choreographer Faye Driscoll, and Sophia Cleary has worked with the brazen Ann Liv Young. Expect a range from serene to boisterous. Dec. 5–7 at Danspace Project. www.movementresearch.org or www.danspaceproject.org. NEW YORK CITY With its talkback format, Camille A. Brown’s latest work, Mr. TOL E. RAncE, is meant to engender conversation around race and humor. 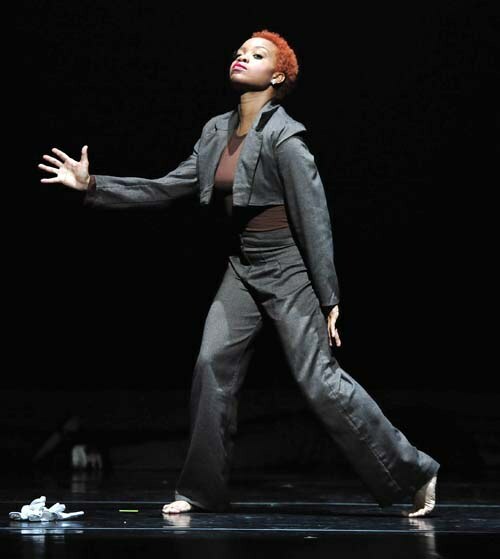 Through Brown’s vibrant choreography, the evocative piece, which Camille A. 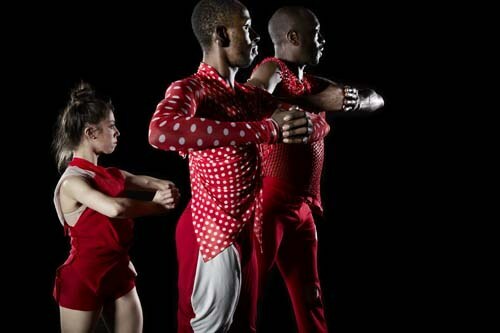 Brown & Dancers perform at the Kumble Theater for the Performing Arts in Brooklyn, Dec. 6–7, explores the historical roots of minstrelsy and its present-day forms. (Paging Miley Cyrus.) See www.camilleabrown.org to participate in the dialogue online. 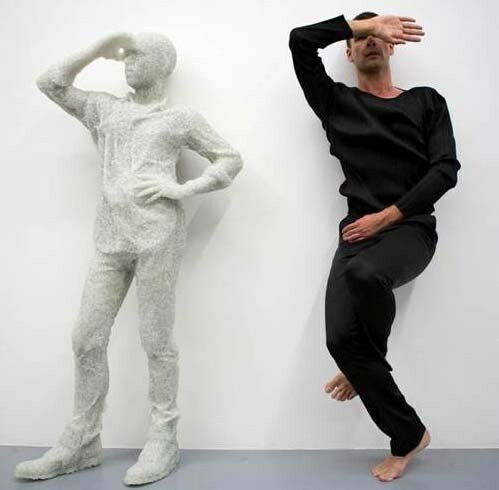 MIAMI In Jonah Bokaer’s latest work, Occupant, premiering at Art Basel Miami on Dec. 6, dancers manipulate chalk plaster sculptures by visual artist Daniel Arsham, Bokaer’s frequent collaborator (who also worked with Merce Cunningham, Bokaer’s former boss). The work removes divisions between process and product—traces of the objects will transform the black-papered floor of the Carnival Studio Theater into a drawing. www.arshtcenter.org. Jonah Bokaer. Photo courtesy Ellen Jacobs.